The 2017 Mercedes-Benz E-Class propels in-car technology in luxury vehicles forward by leaps and bounds, ensuring that drivers have access to the most relevant information, world-class entertainment, and ultimate assistance on the road. From an optional panoramic screen to onboard Wi-Fi and highly advanced audio systems at your disposal, there’s no shortage of technology available to you with the latest E-Class. 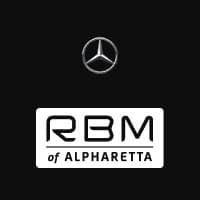 Learn how you can equip your 2017 Mercedes-Benz E-Class with high-tech features at RBM of Alpharetta. The 2017 Mercedes-Benz E-Class comes laden with innovative technology, and all features work to keep you connected, informed, and entertained—and driving safely. For example, the Car-to-X Communication system connects your vehicle to a central information resource center, so that you have access to in-car updates about road conditions ahead of you. In turn, any hazards you endure on the road will be sent to the nerve center to inform other E-Class drivers. Meanwhile, DRIVE PILOT brings intelligent cruise control to a whole new level, not only by adjusting to traffic levels, but also helping you to switch lanes when necessary. The steering wheel has smartphone-like pads installed on either side; using your thumbs, you can swipe to control the central screen on the right and change gauge settings on the left. Along that vein, there is a panoramic 12.3-inch screen that displays not only important driver information, but also navigation and entertainment options. With such innovation at your fingertips—literally—your drive will be completely revolutionized. The technology on the 2017 Mercedes-Benz E-Class undoubtedly sets this model apart from other luxury vehicles, but the innovative features on offer only scratch the surface of all this vehicle promises. There’s also design, performance, and comfort to consider, and the E-Class excels on all fronts. Allow RBM of Alpharetta to help you pick out your ideal model and arrange financing so that you can hit the road, in style and ultimately connected. Give us a call to schedule your visit!